About 30% of all adults complain of occasional insomnia. Another 10% of adults complain of having chronic insomnia. For those who experience insomnia, 4 out of 5 adults say that it is a persistent problem for them, lasting for several years in some instances. Insomnia can happen to anyone. It can be acute or chronic. Even when you do fall asleep, the quality of sleep you are able to receive may be lacking. Managing your sleep environment is one of the best ways to stop insomnia from becoming a habit. There are several techniques which can be used to help get you to sleep and help you to sleep better. Try to carve out at least 30 minutes of wind-down time before you plan on going to bed. Do something relaxing during this time. Consider dimming the light during this time as well. If you’re using electronic devices right before bed, this might be contributing to your insomnia issues. Disconnect them and resist the urge to check the phone or turn on the TV. When you struggle to get to sleep within 20-30 minutes once in bed, don’t just lie there and let the time tick by. Get up and do something that is relaxing, like listening to music or finding a book to read. Otherwise, a link between going to bed and staying awake might form and lead to chronic insomnia. Then set a pattern of waking up at the same time every morning. Get up at the same time even when you struggle to get to sleep at night. This may help to balance out your circadian rhythms. How do you create a relaxing environment so you can fall asleep faster? One effective method is to use brainwave entrainment for sleep. These programs are designed to work with the brainwaves you naturally produce, encouraging a pre-sleep state. Like anything, brainwave entrainment may not work for everyone. If you are struggling with insomnia, however, it is something that is certainly worth trying to see if it could work for you. There are a few programs that provide excellent resources to help you find the sleep you need right now. 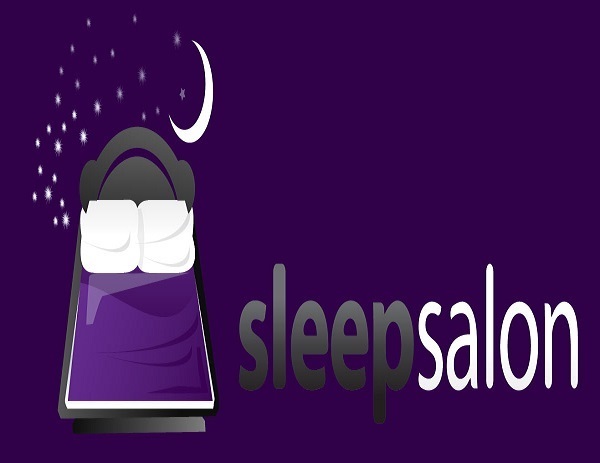 Sleep Salon may send someone to sleep in just minutes. It is a simple MP3 program that can be downloaded immediately and used tonight. This program works by using pulses and special tones that are designed to provide a positive influence for your unique brainwave patterns. The goal is to transition the mind from producing alpha waves to producing delta waves, allowing for the possibility of entering a deep stage of sleep in just minutes. Many brainwave entrainment programs recommend using stereo headphones to maximize possible benefits, but that is not necessary with Sleep Salon. Inspire3 has created a system that can be played over any type of speaker so that you can begin to transition to a better night of sleep. Within this program, you will find 12 different sessions that can be played so that sleep can be encouraged. Each program is designed to work with a different type of insomnia. Just match up what you are feeling to the right program and then crawl into bed. Focus on the sounds. For many, this can break even lengthy cycles of chronic insomnia. There are two outcomes which can be obtained when using Sleep Salon on a regular basis. #1. You can get to sleep faster, even when dealing with physical conditions that may be causing insomnia, such as pain or depression. #2. You can begin to reduce the physical symptoms of insomnia, which include memory loss, hypertension, obesity, and daily irritability. Better sleep can also potentially lower the risks of heart disease development or Type 2 diabetes over time. You can purchase the entire Sleep Salon program today for just $37 and the transaction is risk-free. If you are not satisfied with the results that the program offers, there is a 30-day, no questions asked, money-back guarantee. This program is a beautiful and cascading soundscape which is designed to help invoke delta brainwaves. The goal is to encourage faster and deeper sleep, along with all the physical benefits that come from a good night of rest. This program from iAwake Technologies isn’t like a standard brainwave entrainment program. It is more of an immersive track that one might see with a meditation program. Designed by Leigh Spusta, listening to Deep Delta helps to move the body to a state of deep relaxation. The relaxation is on a psychological level and a physical level. This combination provides the best opportunity to create feelings of inner peace and comfort. Deep Delta works quickly. From the first time it is used, you’ll notice that changes begin to occur with your patterns of insomnia. The sounds help the brain begin to transition out of the habits of insomnia, including the attention-seeking symptoms that acute insomnia can sometimes cause. This program is best used during your time of relaxation before going to bed. Using headphones will provide an optimal experience. You’ll want to find a place where you are comfortable. Play the program, close your eyes, and allow your mind to be immersed into the sounds that are being heard. Headphones are not required, however, and this program can be used while you are in bed. Play it if you wake up at night for some reason or have it on in the background as you go to sleep. 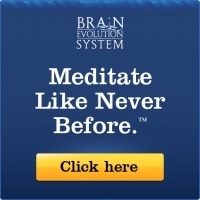 This brainwave entrainment program can even be used for times of prayer or meditation. The program sounds like relaxing music, but there are structural technologies being used to encourage a better night of sleep. Low-frequency sounds that use perfect-fifth harmonies create a unique drone that helps to promote peace and rest. Deep Delta also uses hypnotic compositions and psycho-acoustics to promote the brain’s natural relaxation response. Note frequency values are then specifically added to deliver binaural and monaural beats within the delta range of brainwaves, encouraging the brain to tune itself to those frequencies. Deep Delta is available as a $37 digital download or a $47 CD and digital download combination. A 90-day satisfaction guarantee is associated with this program, with a 100% money-back guarantee offered within that time. Unfortunately, you cannot just “will” yourself to sleep. It would be great if life was that easy. A good night of sleep is restorative in many ways. You can make better decisions because your mind has more clarity. Your immune system is stronger. There is no longer that irritable edge you walk or an intense desire to pump caffeine into your system to wake up. Neuro-Linguistic Programming (NLP) exercises are an easy way to begin breaking the bonds of insomnia. When combined with hypnosis exercises, you can have a DIY tool that will help you to begin changing how your brain thinks about sleep. It is 40 minutes long and will help the brain focus on sleep instead of creating a to-do list. These NLP exercises work best while wearing headphones. Each program is about 40 minutes in length, so it is the perfect addition to your bedtime routine. Shut down your electronics, dim the lights, and then slip on your headphones to run this program. This works because the brain is very much like a muscle. When you use it regularly for specific tasks, it can grow stronger. When you build up strength around sleep promotion, falling asleep faster and staying asleep longer becomes a more likely possibility. 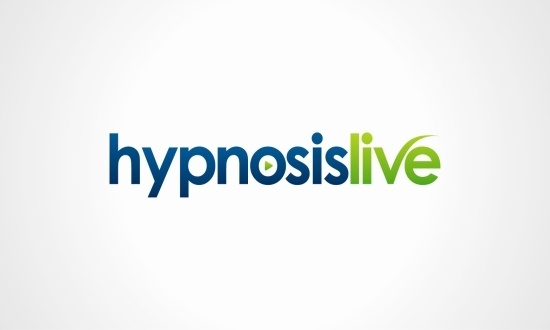 Each program offered by Hypnosis live is available for $17.95. You can also save money by purchasing a coordinating program and pay $29.90 for both, which drops the price for individual programs to $14.95 each. A third option is to get the Superior Sleep Hypnosis Bundle. It is a powerful combination of brainwave entrainment and hypnosis to stop insomnia once and for all. The bundle of programs is available for $32.95 and is the best value offered by Hypnosis Live. Try the programs for 14 days. If they don’t seem to be working for you, then take advantage of the 100% satisfaction guarantee which is offered. When positive affirmations are part of a comprehensive program of self-growth, they can be a powerful tool that provides several unique benefits. You may have a happier mood, experience a lower cortisol response to stress, and have increased self-esteem. The Chopra Center offers an in-depth look at 7 benefits of having a daily affirmation plan. Many affirmation plans are designed to be used during the day. It is also a tool that can be used when you’re falling asleep to change how the brain looks at sleep. That is what Subliminal Guru is designed to provide. Sleep helps you to function at your best. It does more than just restore your energy. It can also heal your body and provide balance to your moods. With positive subliminal messaging, you can also create sleep benefits that are like the daily benefits of positive affirmation. This program works by providing thousands of positive subliminal messages to the mind. The affirmations are layered over relaxing audio, such as nature sounds or relaxation music, so that the conscious mind can wind down while the subconscious mind hears the positive messages. With continued exposure to positive affirmations, long-standing patterns of thinking can be changed. For those who struggle with sleep, results can be experienced after just a couple of listening sessions. Subliminal Guru recommends at least 14 days of using this program to experience the full results that can be achieved. Then you can choose to stop listening to the program if it is working or keep listening to it to enhance the benefits which are being experienced. 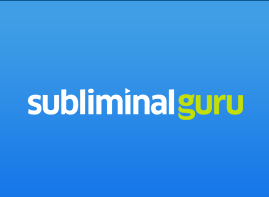 Unlike the other brainwave entrainment for sleep programs that can be quite lengthy, Subliminal Guru is just 10 minutes long. Each subliminal album comes with six 10-minute MP3 programs. Acoustic music, relaxation music, workout music, a bubbling stream, rainfall, and brown noise are all included. There is also one 10-minute spoken subliminal MP3 included with each program. More than 2 hours of total audio is included with this program to help find a way to fall asleep faster. Each program offered is priced at $16.95 and is backed by a 14-day money-back guarantee. Discounts are available when purchasing multiple programs at a time. Are You Ready to Get a Better Night of Sleep? Insomnia can happen to anyone at any time. Acute insomnia can stay a temporary sleep issue if it is addressed immediately. One effective way is to look at the entrainment programs for sleep and if they could help you to re-establish a relaxation and bedtime routine. For chronic insomnia, it is important to speak with a medical provider to determine if there is an ailment which could be causing the issue. Up to 40% of chronic insomnia cases involve a potential mental illness, such as depression. By treating the illness, the insomnia might be treated as well. These programs are designed to work with you as you create a bedtime routine that helps your mind to relax. Instead of focusing on worries or stress, the mind can focus on positive affirmations, beautiful music, and peaceful surroundings. Use them as you go to bed or when you’re trying to relax before bed. Not every program will work for everyone, but each program offers a satisfaction guarantee. There is nothing to lose, but you could gain a better night of sleep as soon as tonight. You may also want to read: What can I do to fall asleep easier?